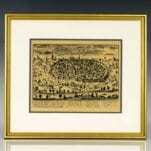 18th Century Map of the Holy City of Jerusalem. 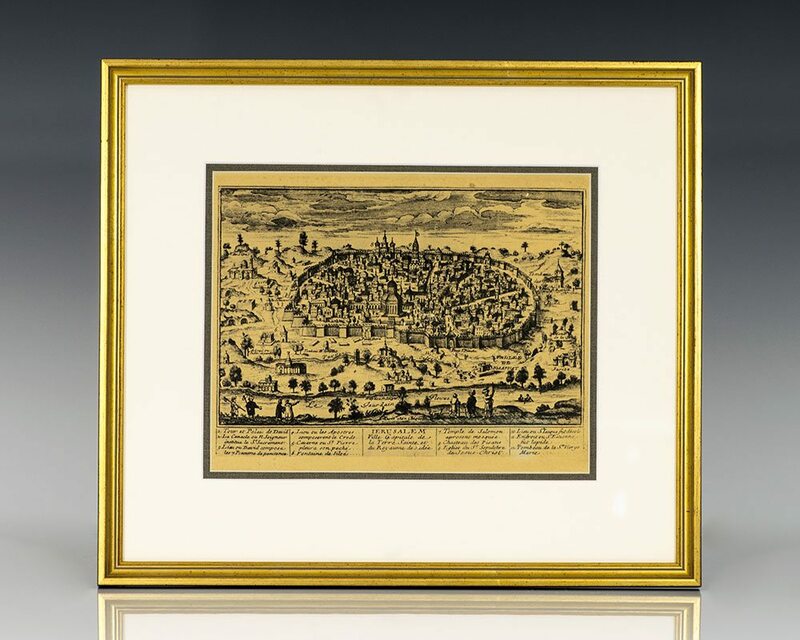 18th century etching depicting the ancient city of Jerusalem, “Capital city of the Holy Land and of the Kingdom of Judah.” Annotated in French with various numbered landmarks including the Tower and Palace of David, Temple of Solomon, Church of Saint Sepulchre of Jesus Christ, and Cavern of Saint Pierre. A remarkable piece of history. According to the Bible, the Israelite history of Jerusalem began in 1000 B.C.E. when King David took control of the city and declared it the capital city of the Kingdom of Israel. King Solomon, son of King David, later constructed the Temple of Solomon which became the major cultural center of the region and the main place of worship. Throughout the following centuries, control of the city was unstable, yet it remained one of the greatest centers of religious history, worship, and pilgrimage in the world. In 37 B.C.E., Herod the Great captured the Jerusalem, leading to the First Jewish-Roman War which destroyed much of the city in 66 C.E. 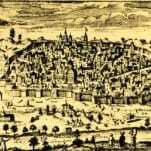 The city was rebuilt in 135 C.E. by Roman Emperor Hadrian who built the Jupiter Capitolinus which later became the Church of the Holy Sepulchre under Emperor Constantine. 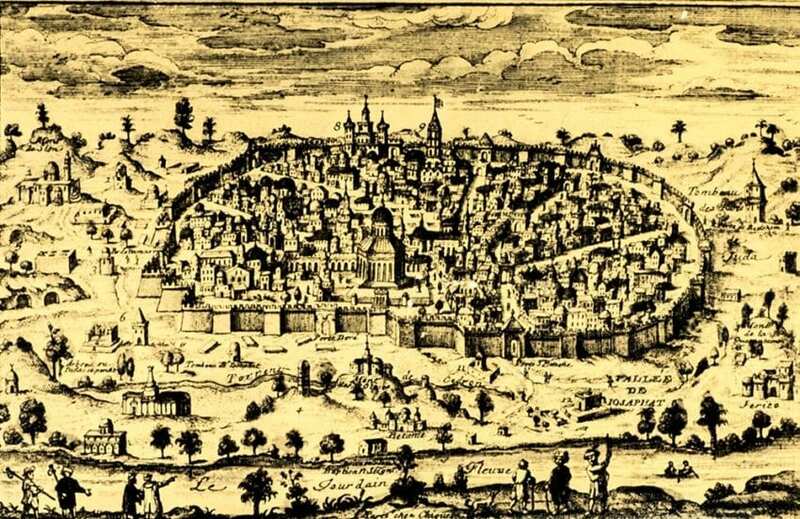 One of the oldest cities in the world, Jerusalem remains one of the richest archaeological cites in the world.